Money and banking can be such a source of anxiety when you are new to traveling in a Spanish-speaking country, I am surprised that I don’t see more on the subject. Maybe it's just embarrassment. Many travel writers understandably may not want to convey any lack of confidence they may feel from time to time. I certainly lacked confidence, heard other expats finally confess the same, and feel you should know the paranoia is completely understandable. Some have had their banking processes wired down for so long that they don’t remember how it felt the first time a foreign ATM took their debit card. I do, and I took copious, shaky notes during the panic attack to make sure I never forgot it. Maybe other people know enough not to get down to their last 500 peso note (it sounded like a lot more money at the time). Maybe they can divide any number by 18.5 without error in seconds. You're off -balance so take extra pre-cautions. A number of new expats have confessed to me of freezing up on pass codes, 800 numbers and the general process of banking that is second nature when they are at home. Mistakes and a mindset a bit more prone to panic are common when you are alone and off-balance from navigating in a foreign environment for the first time. Everyone I know has had a mishap, like losing a credit card or leaving something out to get stolen. Silly as I felt at times, I wore a money belt most of the time during my first "tour," not to protect me from pick-pockets but to protect me from myself. The alternative to digging around my pants in a dark corner of a retail store like a psychotic was fixing things in Spanish at a bank under pressure. I preferred the former. I always could feel right my house key, my passport, a debit card and 1,000 pesos on my skinny hip bone. When I go for a night out, sometimes I still use the money belt, with a purse that contains nothing more than my make-up, the cash I'll need for the night, and a cheap Telcel phone that I use rather than carry my cell phone at times. Again, I want to stress it's not a matter of personal safety, but rather protecting me from myself in a country where carelessly losing a credit card or a cell phone is a ton more of a hassle and more expensive in the case of electronics, than if you lose these types of items at home. How difficult it is to open a bank account in Mexico? I say it's fungible. They can make it easy or make it hard. In books and online you will run into stories about the elaborate paperwork required. I didn't check the requirements of every bank but I could open an account at Banco Santander with only my tourist passport and an electric bill even though I rented and the electric bill was not in my name. The minimum amount to set up the account was 3,000 pesos ($167 at an exchange rate of 18.6 pesos to the dollar). In hot coastal areas, I also recommend stopping by a papelería (stationary store) and getting your electric bill, which is required for many things and copies of other documents put in mica (plastic sheeting). Paper deterorates very quickly in hot, humid climate. The plastic makes documents you need easier to store too. Like the U.S., checks aren't used much here (I've never seen anyone use a check). Not because debit cards have taken their place, but because cash is still king. Getting a credit card in Mexico is harder because credit isn't handed out with the same facility as an assault weapon in the United States. They aren't used nearly as much by Mexicans. Learn some Spanish - you will likely need it in banks. Teaching myself Spanish was the last crucial element of feeling that I was in control of my money in Mexico because it gave me the ability march right in and argue convincingly if an error occurred. Yes, many bank employees speak English, but remember it's a second language for them. Misunderstandings are common. With decent Spanish, you can try it in both languages to re-confirm that you've understand what you've been told. Solving a problem over the phone without Spanish can be a nightmare. Until I'd achieved more proficiency, I took added precautions like using only bank ATM's and usually even the same branch ATM. You should take special precautions if using ATM's at places other than banks, including covering above your hand when you punch in the pin number and checking around the machine for tampering. ATMs at places like malls, Sam Clubs, Walmarts, anywhere other than banks might also charge a higher ATM fee. Don't forget Mexico has more bank holidays too, ones you'd never dream of. You will need more cash on hand than you're used to. Still being a largely a cash country is a source of frequent fire drills when paying for things. You have to get used to anticipating your cash needs in advance the way you have to anticipate direct pronouns before the verb in Spanish. Like the U.S., ATM’s in Mexico have a cash limit, about $400. The amount is determined by your bank, not the Mexican bank so it's good idea to check with your bank what your withdrawal limit will be before you go. The best banks for expats are Banco Santander, HBSC, Banorte, BBVA Bancomer. If you are exchanging a large amount of money, you may want to compare exchange rates, as they can vary between banks. For a particularly Mexico-friendly American bank, a Mexican friend of mine, an auditor with many years going back and forth between the two countries, swears by Citibank when it comes to reduced fees and transferring money through its Mexican partner, Banamex. If you bank with Bank of America, they have a relationship with Scotiabank of Mexico so you can avoid ATM fees by making withdrawals from that bank. My business partner, who has many years here, and I often take on the frenzied aspect of drug dealers as we run around to banks to get the right amount of cash for business purposes, forming happy little piles of bills until we have enough for larger transactions. I loved my first year here, when having two 500-peso notes ($52 dollars) made me feel irrationally rich. The good news is that you really notice what you spend when you pay in cash. Have two banks at home. Another key change since your college days is that U.S online banking makes keeping track of money so much easier. If you have two separate U.S. banks and the ability to transfer money between banks, you give yourself still more an added layer of protection, should you lose a debit card or have problems with a pin number. Some might protest the fees or question the necessity of separate accounts, but having two banks that you can transfer money back and forth from, and debit cards from each has saved my hide on multiple occasions. I wouldn't dream of having just one bank and I've been here five years. It's natural to feel a little vulnerable in another country. Debit cards from two banks and at least one credit card that you can draw cash from can keep you sane. With online banking, you can pay bills at home on schedule automatically. This can include people you might pay to take care of a piece of business at home. For example I have an account set up for a friend who can get into my storage unit. I can pay into her account if she ships something for me. If I need a personal presence to meet with a renter in Denver, I pay another friend to handle it and can pay her too. You probably know all the benefits of online banking when you're home. What you may never have thought about is its implications living in another country, how it makes doing banking so much easier and offers so much greater peace of mind. I still have friends who'd rather mail their bills. That's fine at home. When you live abroad, obviously you can't do that. If you sublet your home or apartment back home but still want to pay the electric and internet bills yourself, I advise yo put them on automatic bill paid from your account, rather than doing a monthly transfer on your own. It's easy to lose track of the date when you're in another country staring at the waves and roaming the streets of your chosen El Centro in Mexico. Check your account frequently, especially at first. How lovely it is that you can check your bank account every day if you want these days. You likely will after first moving to Mexico. You will be paying for your first few months of rent in advance, storage units back home, possible security deposits on your rental in Mexico, big cash withdrawals once you arrive to Mexico for groceries and expenses you're used to doing with a debit card, and paying airline, bus tickets and hotel charges getting to your final destination, some of them might be initially charged in foreign currencies. All these transactions requires close, even daily vigilance. Don't forget to set up your credit card PIN number for cash withdrawals before y0u leave town. Right now, you probably don't routinely take cash advances on your credit card so it's easy to forget to set up the PIN numbers for your credit cards before you leave that will enable you to make cash withdrawals. Since I had never needed or used my credit card for cash, I assumed I could go into a Mexican bank, give them my passport and credit card and get cash off my credit card if I needed it. You cannot. No PIN, no plata. Some banks have a system of sending emergency cash, requiring you to pick it up at a FEDEX office. Note: These offices have much more restricted hours in Mexico. Banking and bills are a part of your life, no matter where you are. Revel in the knowledge that it's easier and safer moving money between borders than it's ever been. If you think you might be investing, getting a Mexican credit card and other services, Mexperience has some guidelines. Up next: Don't really like to travel? Then you may just the kind of person to live in another country. Most Recent: A reminder of how online tools have changed the whole prospect of living in another country full or part-time. 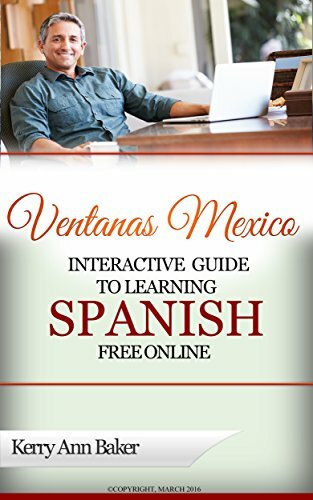 Kerry Baker is a partner with Ventanas Mexico, which provides resources for those exploring part or full-time life in Mexico, and author of the "Interactive Guide to Learning Spanish Free Online"a curation of the best free tools and features on line, organized into lesson plans. 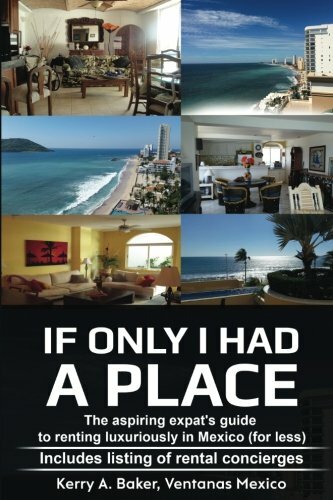 More recently she released "If Only I Had a Place" a guide for the aspiring expat on renting in Mexico which includes a listing of rental concierges in the places most desired by expats.